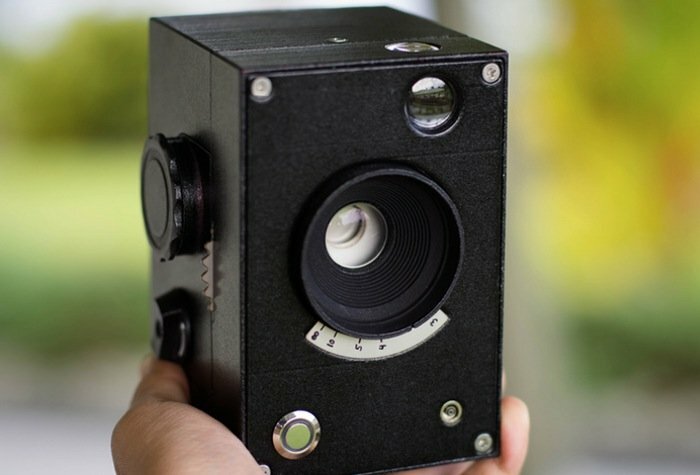 Kevin Kadooka has this month finished his Lux open source camera that he has been working on, with a goal of building a fully-fledged camera, using just easily purchased off-the-shelf components. 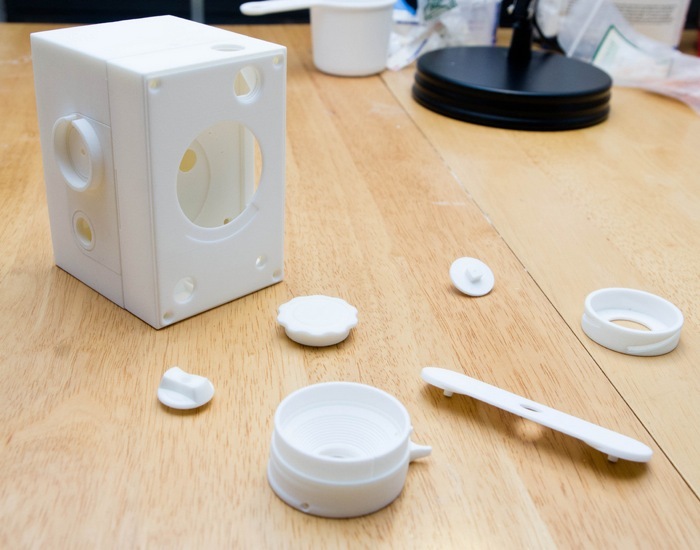 The Lux open source camera removed the need for builder to rely on anything scavenged from a potentially valuable piece of camera equipment. Which in the past has been adopted by Kevin to create his previous camera designs and homegrown prototypes. 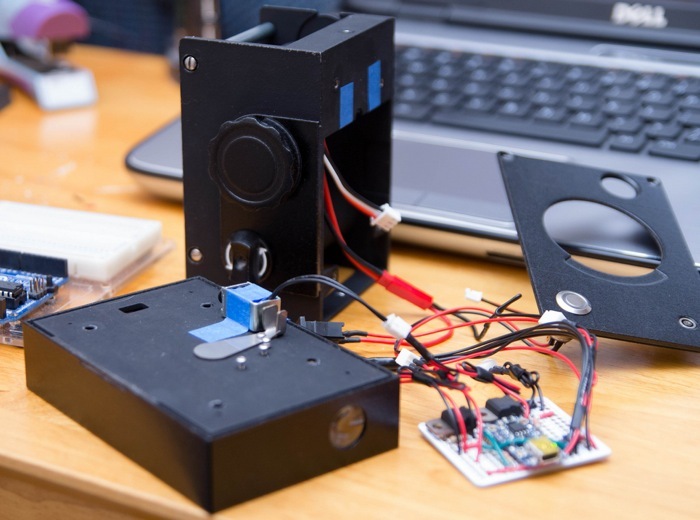 A secondary goal of his Lux open source camera project was to make the design open source and through rapid-prototyping techniques using technology such as laser cutting and 3D printing, together with embracing the Arduino computing platform. Kevin explains a little more about his awesome creation. “At the time of writing, I’ve run about a roll-and-a-half of film through Lux. Thus far it’s been a pleasure to use, with a few nagging issues (see below). It really works about the same as any other old film camera – turn on, make exposure adjustments, frame, shoot, wind, and repeat. With color negative film, the lack of an exposure meter isn’t too much of an issue – in most outdoor conditions it’s possible to use the Sunny 16 rule and make adjustments from there. Loading and unloading film is pretty easy, winding and counting frames is a breeze. And so far – no light leaks! – No access to battery without disassembly: This one is pretty bad. You need to unscrew the front plate, front assembly, and untape the battery to remove it. You have to do the same to charge it. Yikes. 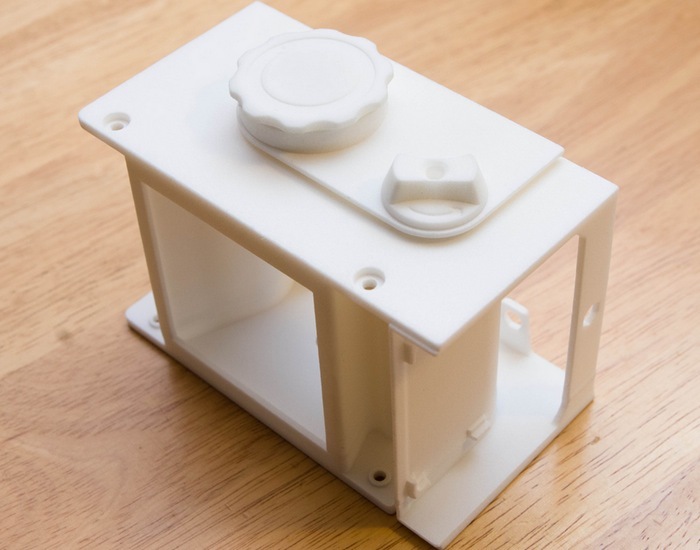 For a list of all the parts you will require and a full instructions on how to build your very own Lux open source camera jump over to the Kevin Kadooka website for full details. If you liked this you might also be interested in building an Arduino wind speed meter which offers an easy way to start tracking wind speed using an Arduino Uno.